You are currently browsing the category archive for the ‘Crafting’ category. Hair is a tricky thing. It just doesn’t grow as fast as you want it to when you’re hoping for it to grow. I was hoping to make a Locks of Love donation in late 2012, but to get the length I was aiming for took longer than expected. August 2013 rolled around, and it was finally time to make the cut! I was really excited to send my hair off and hope that someone is enjoying a wig made with part of that pony tail (or soon will be!). 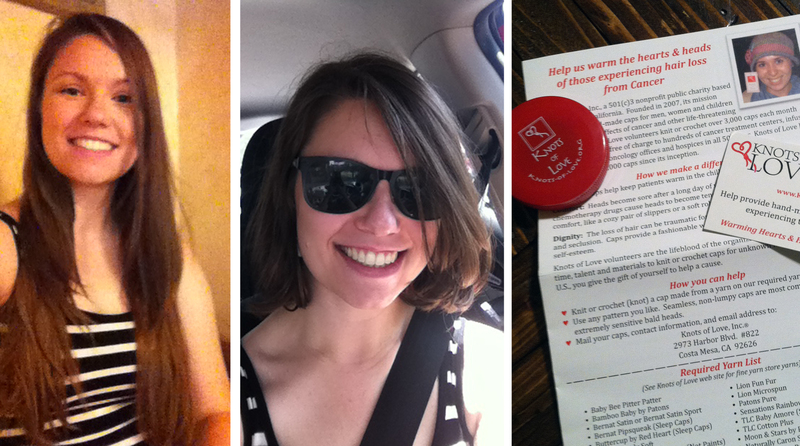 2013 Goal #9: Donate caps or scarves to a good home. The past few years I’ve donated scarves that I’ve knitted or crocheted to the local women’s shelter. 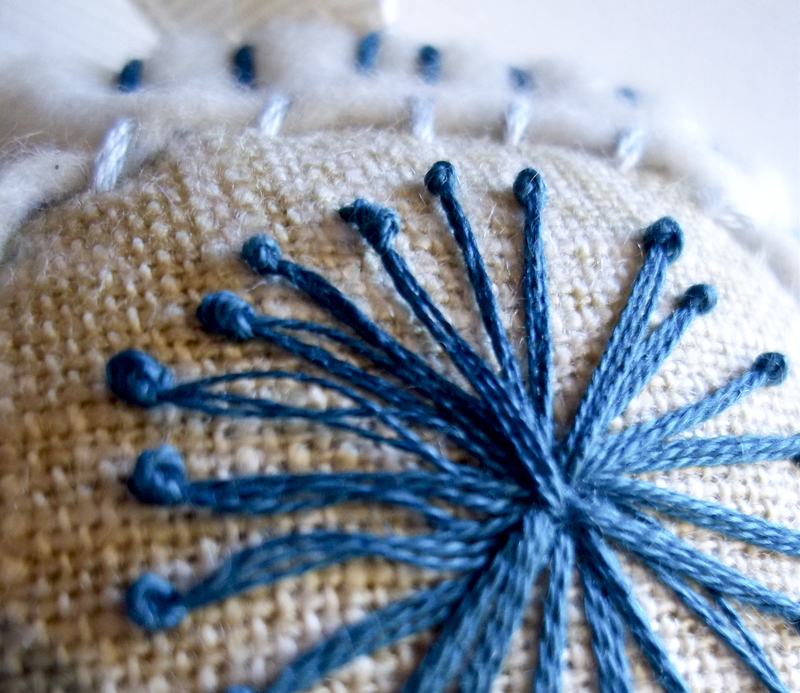 Because of several friends’ difficult and diverse experiences, I was hoping to donate 2013’s needlework to a hospital through a local organization. It proved difficult to track down a group locally, but through my research I discovered Knots of Love. They provide caps for patients with traumatic hair loss across the country, including a hospital in my area. I was really excited to donate caps to them in the fall, and I hope to be able to donate again this year (hopefully some NICU blankets). My caps went to eight states! 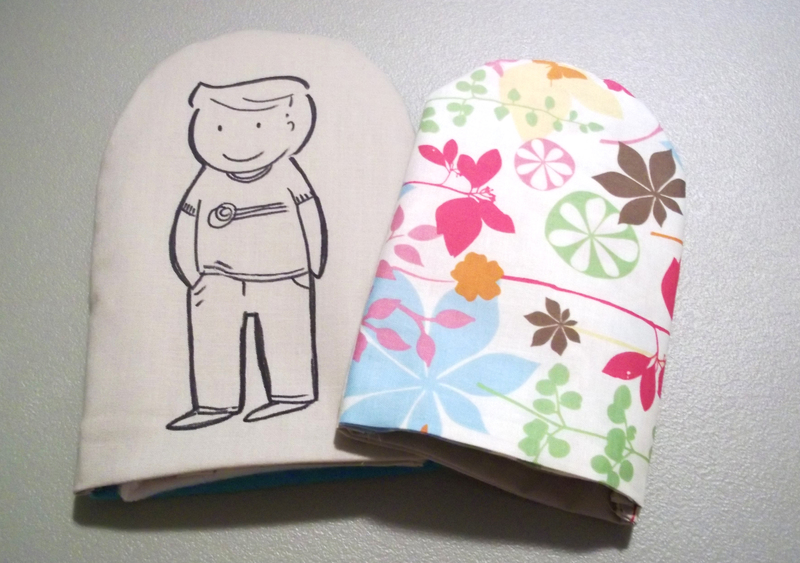 !, and I hope they have found good homes, keeping people warm and comfy and loved. 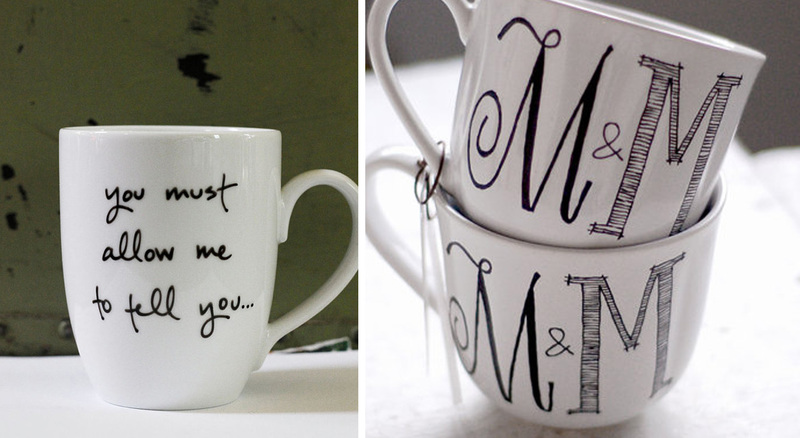 I’ve been seeing DIY mug ideas on several of the blogs I follow for weeks now and have been waiting for a chance to get to try my hand at doing a custom illustrated mug. A few weekends ago, a good friend moved into her very first home! I wanted to do a little something as a housewarming gift, and thought—what better for a coffee-loving new homeowner than a new mug to celebrate the event! 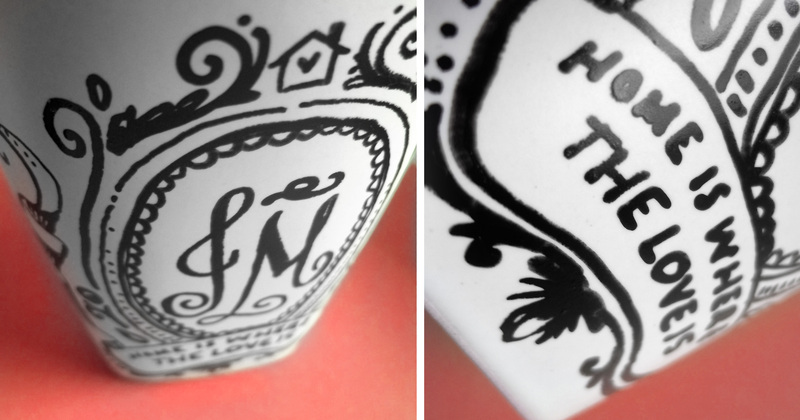 Oh Hello Friend creates a mug with a metallic gold Sharpie paint pen – lovely! 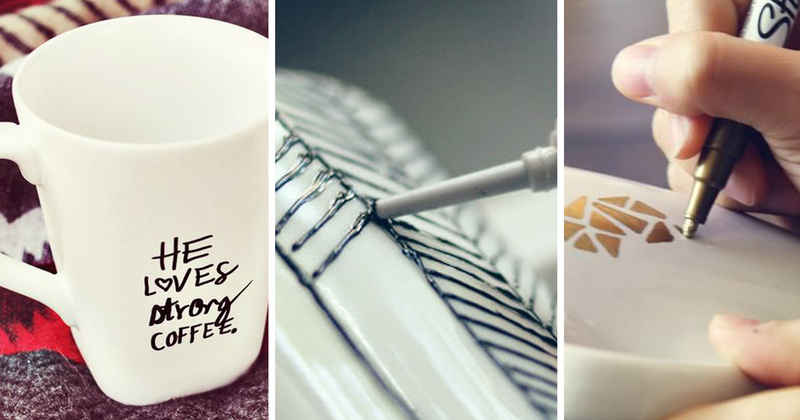 Wit and Whistle designs a chevron mug with porcelain paint. I’m a fan of the raised texture! Pinterest is definitely a wonderful thing. Consuming? Yes, but also totally helpful in collecting all the DIY stuff I want to try out. 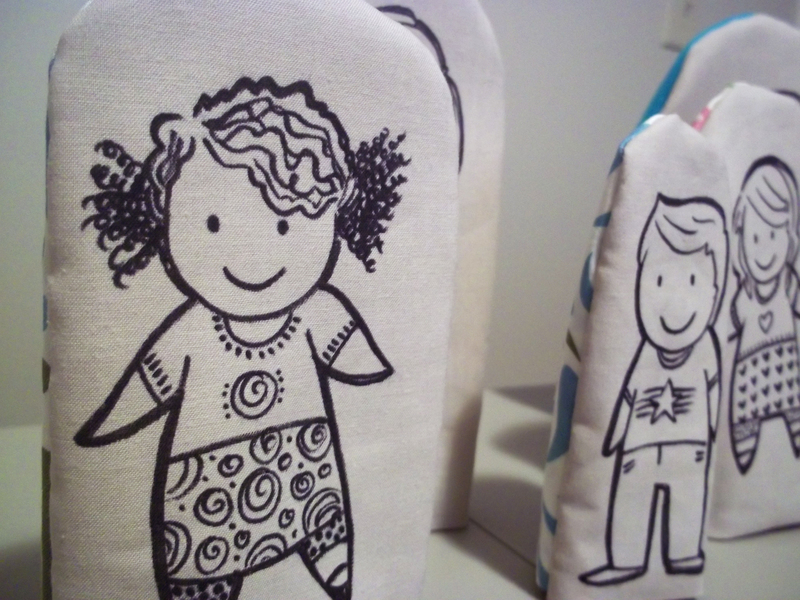 I’ve had these cute little Fabric Nesting Dolls from the Etsy Blog pinned on my DIY board for a while now. They are SO CUTE! I wanted to put my own little characters on them. 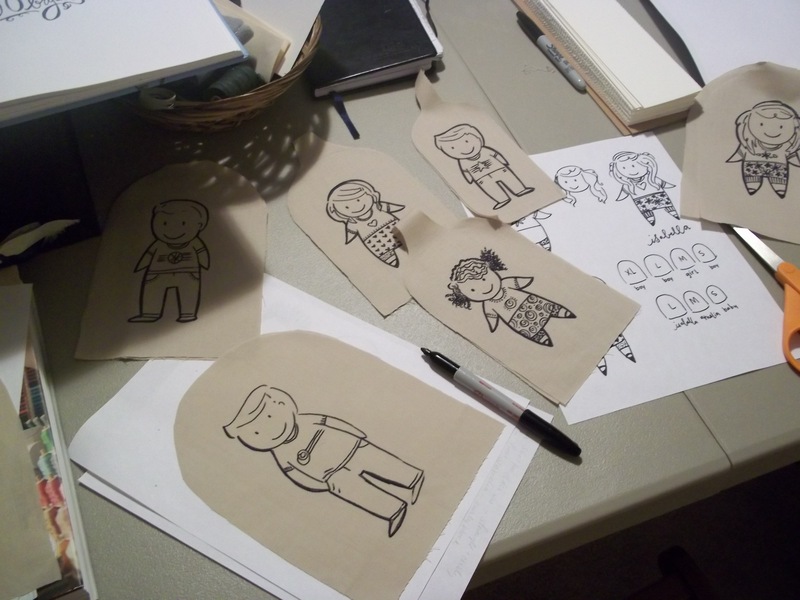 Sketching out the dolls on front fabric. Used an industrial sharpie—no bleed, VERY permanent. I made a four sets this week—one for my newborn neice, two for a friend of mine, Dawn, and a fourth for a friend who will get them in the mail soon! Surprise! My neice will have to wait a while to play with her’s (probably until she develops motor skills). 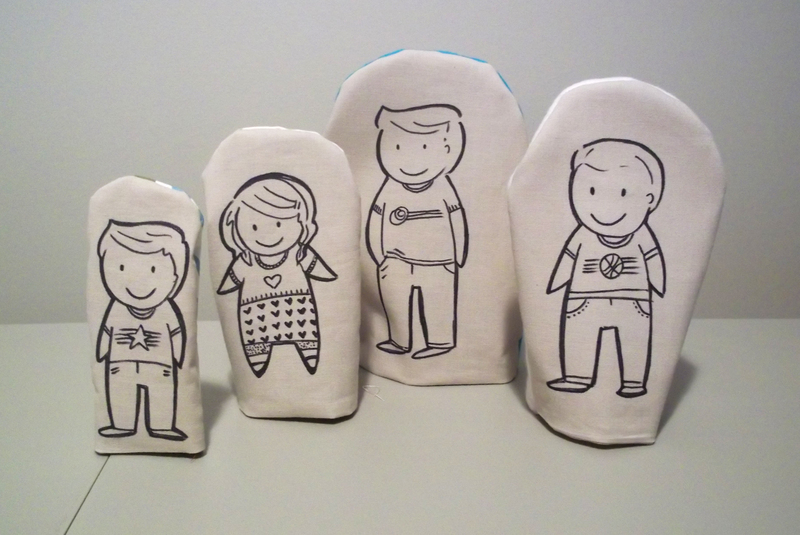 Dawn’s set, the two shown, represent her grandkids. I received a large box in the mail yesterday from my mother. Inside, amidst a TON of packing tissue, was the baby book she had kept during my first three years. It was fun to see names of family friends, find out who gave me that figurine of a gymnast I loved as a kid, and get a feel for my parents life back then. It’s just coincidence that today Martha’s Crafts Dept. 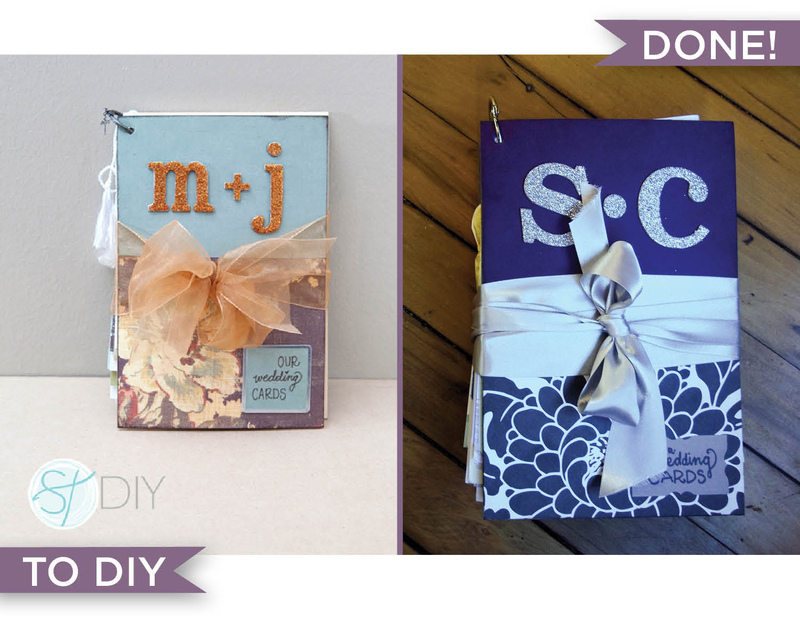 blog featured the sweet book inspired baby shower. I’m loving this shower idea that I’ve seen floating around the blog world recently, and I think you’ll love it too! 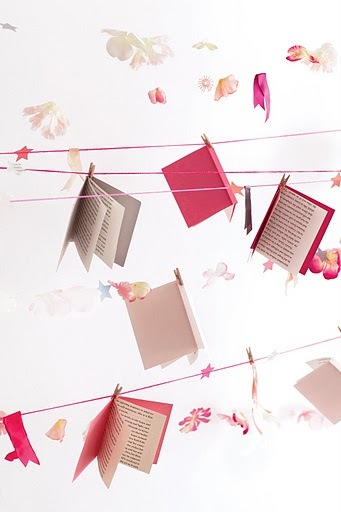 Isn’t this garland the cutest! I love the pink shades. 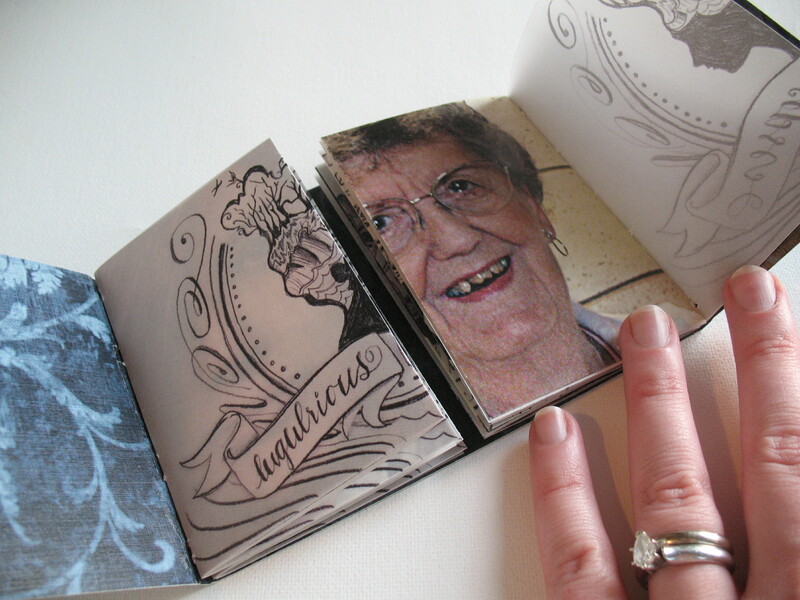 And of course, the fact that they’re little handmade books! 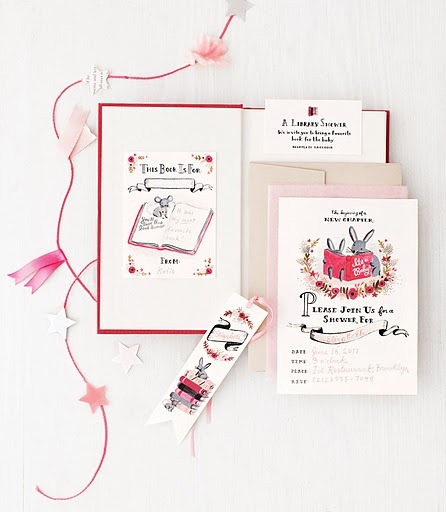 I also love the storybook invitation pictured below. 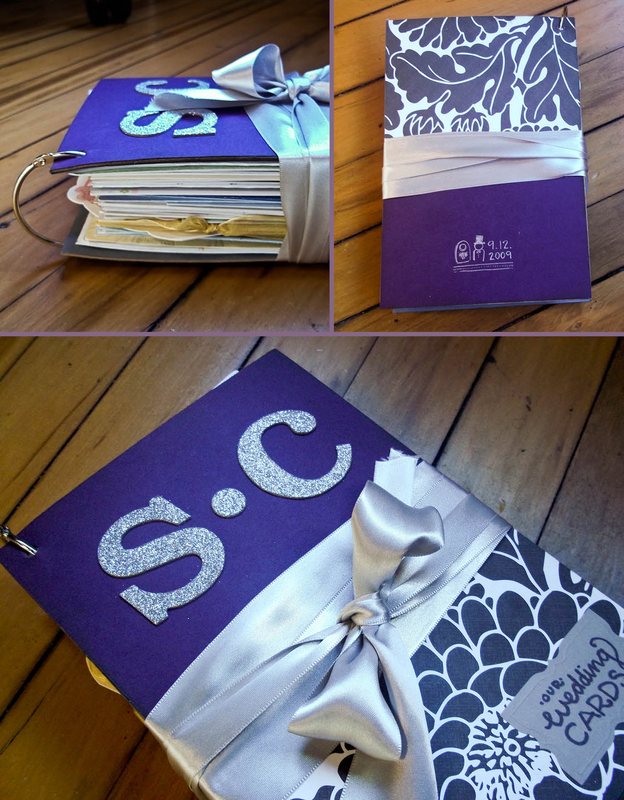 What a great theme for a baby shower, and a perfect opportunity to give a baby book as a gift to the mother-to-be. 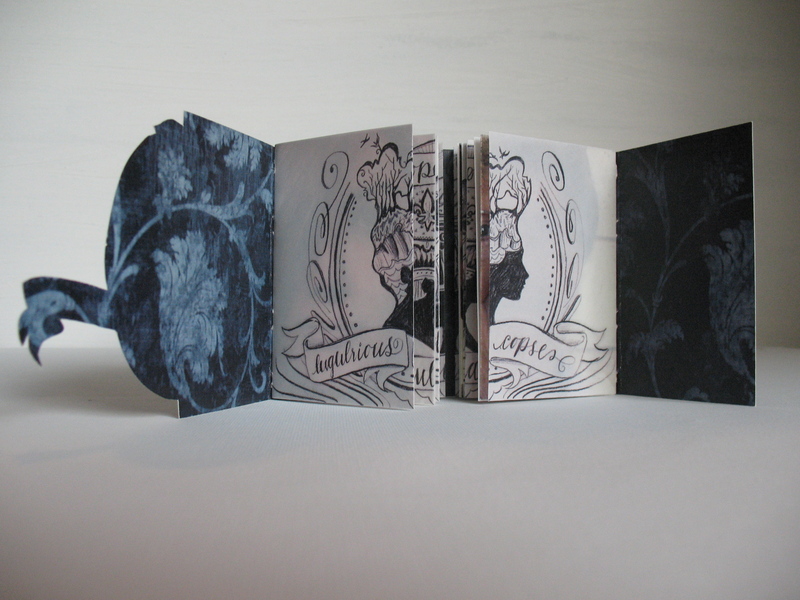 In 2011 I’m adding collage cards to my Etsy shop. The same flat-panel collage cards you’ve been able to find at my shows will now be available online! I’m very happy to be offering the first of these cards, available as single cards or in sets, in the shop now. Come see me! Art events this weekend. . . I feel like I haven’t posted forever! A few highlights from the last few weeks: a trip to visit the lovely land of Lincoln (which was very cold), setting up our Christmas tree (a lovely douglas fir this year! ), and getting ready for TWO ART EVENTS THIS WEEKEND! Come see me at the following events! 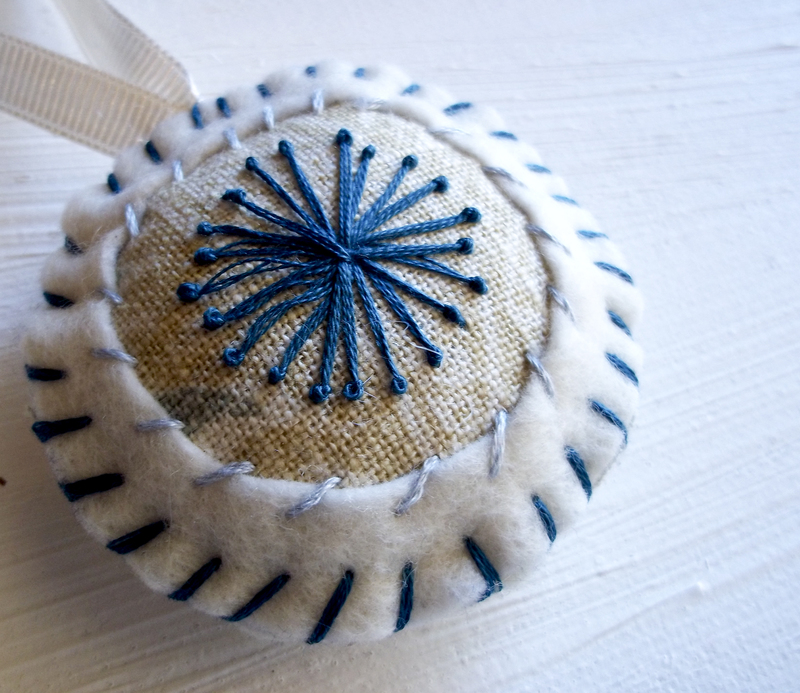 Several new journals, sketchbooks, cards and lovely new Christmas ornaments will be available for purchase at both events. Tonight is AAF Greenville’s 6th Annual Art Show & Silent Auction. Admission is free, but a donation of either canned food or $2 at the door in support of Harvest Hope Food Bank is appreciated. The art show starts at 6 pm. and is at 802 August Street in Greenville. Friday, Saturday and Sunday, December 3 – 5, I’ll be in downtown Greenville for the Winter Art Market. The artists for Art Crossing at Riverplace (by Reedy River & High Cotton for you locals), are hosting their second annual art market sale & celebration! 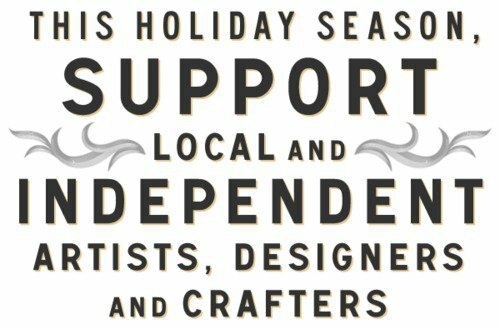 Enjoy handmade artwork, meet the artists, and cross some Christmas shopping off your list! There’s been some “You’ve Got Mail” talk around here this morning. If you haven’t seen this classic film, you’ve absolutely got to watch it. So here’s my project that needs “tweaking.” I’m working on some Christmas ornaments for upcoming holiday art/craft events. 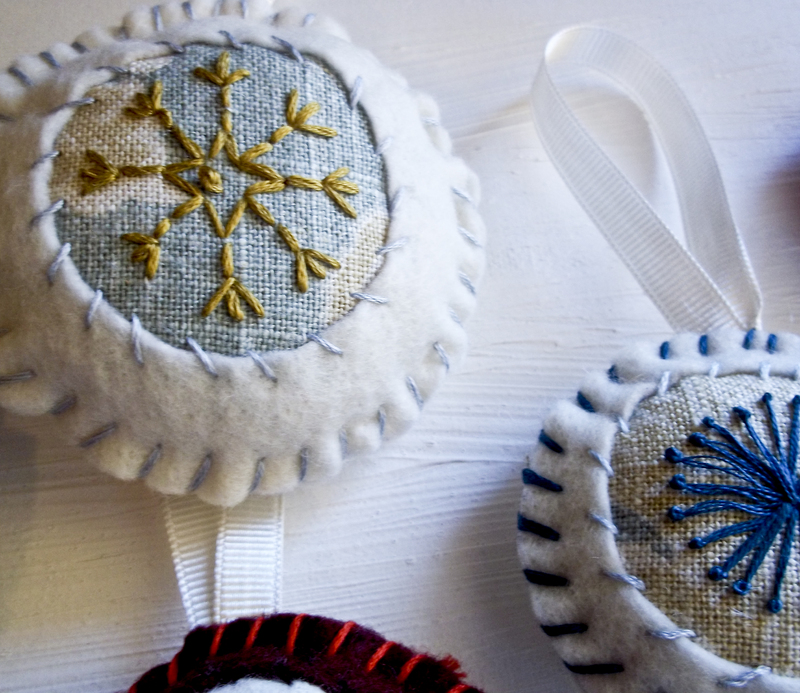 They are felt & fabric ornaments with embroidered embellishments. What do ya think? As promised, here are the inner pages of the book—and the explanation that goes with them. 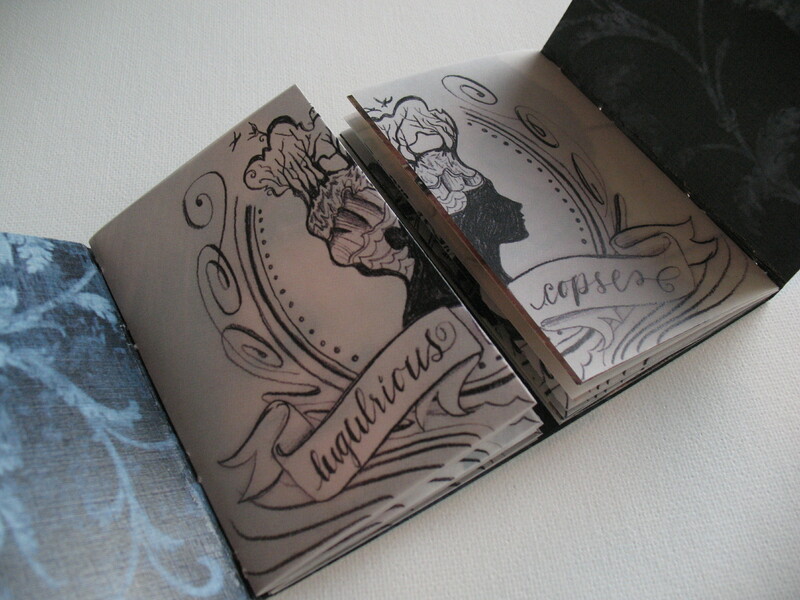 Each half of the book presents a contrasting set for the viewer to ponder. Two women’s faces sit beneath an illustration that incorporates he “random word” phrase. One one side is a magazine photo of a model—representing the deception side of the concept. On the other side is the face of a woman in my life I respect—mother, grandmothers, friend. Flipping past the first spread. Only one side can be opened. As the viewer tries to flip past the photo pages, he finds that the page with a photo of the honorable women can be opened and view. The viewer can consider her, take time looking at the photo. The page with the model is encased in the vellum and cannot be viewed more closely—the dangerous thing is held back from view and one has to flip past without pausing to reflect on the deceit that the image represents. I was intending this aspect of the construction of the book to be a tangible interpretation of “consider this type of woman, keep away from this other type” and also to create different timing movements throughout the book. This weekend was the annual Fallapalooza at my sister- & brother-in-law’s house. It was a great time of eating, hanging out with friends, carving pumpkins and chowing down on s’mores. It even cooled off a little to feel like fall! I can’t believe that we’re still getting into the 80’s in October in our part of the country. Stephen brainstormed an idea for some hoodies for us to wear to the party. 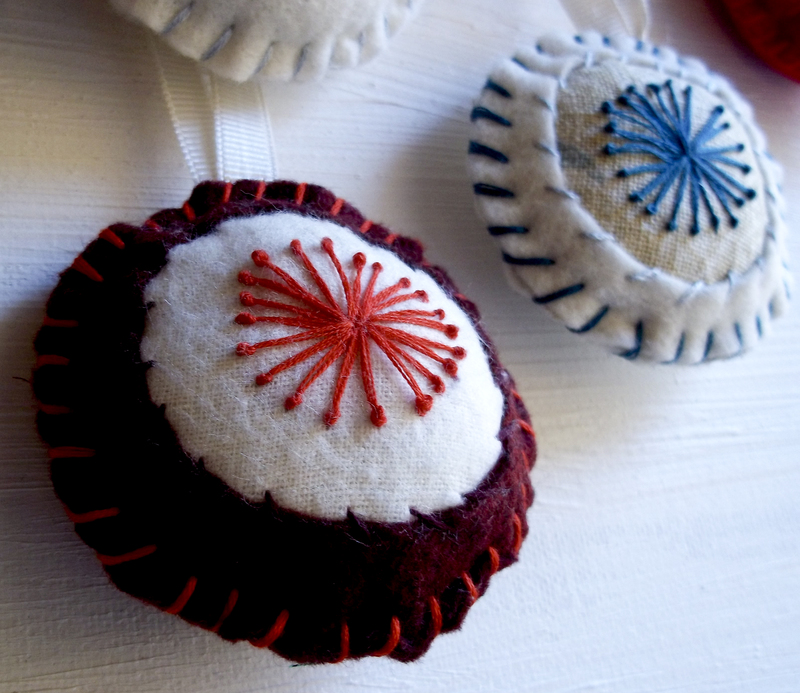 Earlier this week we traveled to the hobby store, picked up some felt and buttons. 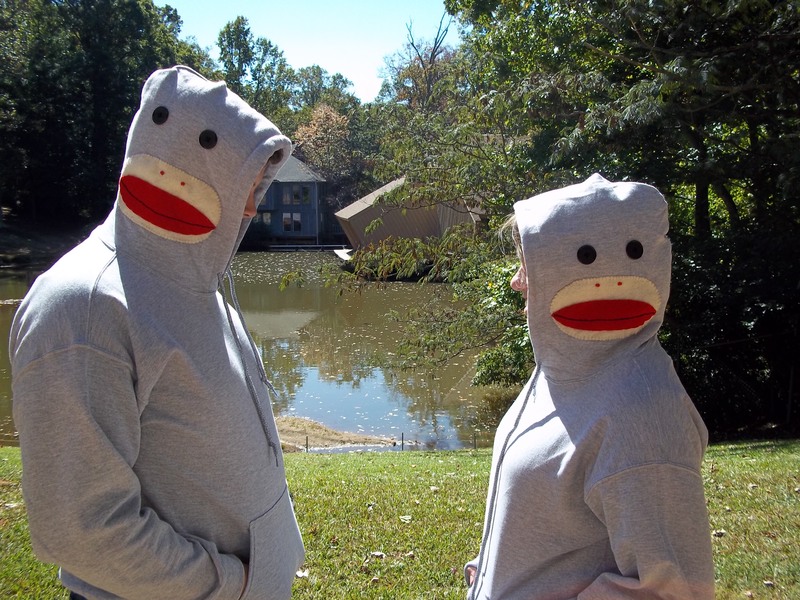 Then on Saturday afternoon I got to work making Sock Monkey Hoodies. 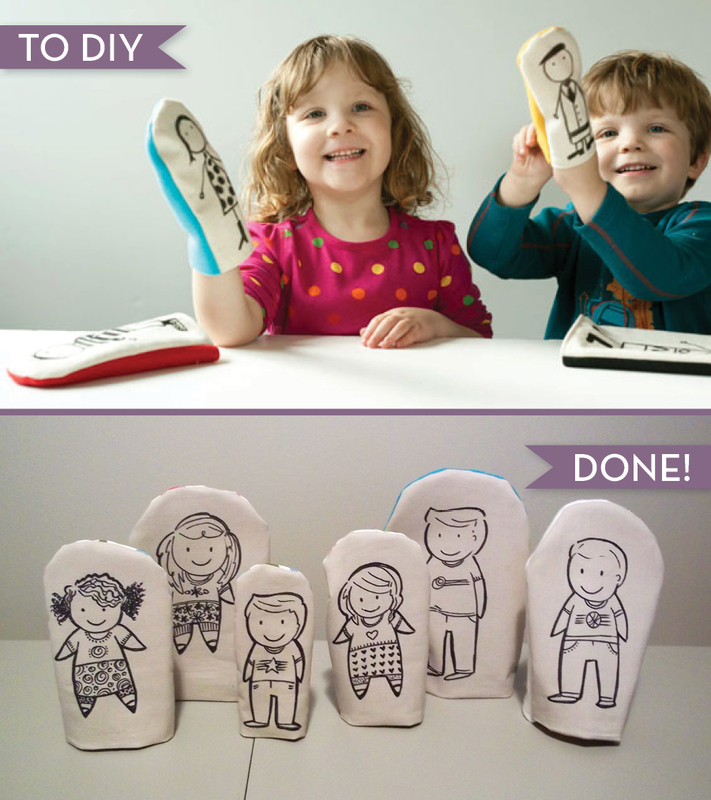 It’s super simple—and it would be fun for Halloween parties as well.